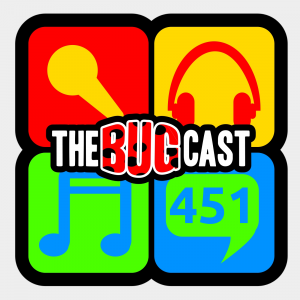 the bugcast 415 – What have we done? This week on The Bugcast: anticipation of one vote, and the fallout of another, plus our usual mix of 8 amazing tracks of Creative Commons and independent music from The Storming Elephants, 2 Minutes To Go, Desfatinaction Trio, Alice Underground, Cightnore, Killo-Gram, Joan In The Fires, and Terrible Terrible. This week on The Bugcast: farewells, a replacement watch, and 8 great tracks of Creative Commons and independent music from Zapple Pie, Noah Hoffeld, Tamara Laurel, Waterpistol, The New Valleys, Boogie Belgique, Lindsey White, and Terrible Terrible. 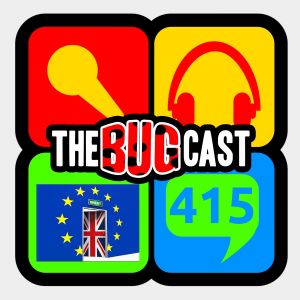 This week on The Bugcast: a round up of the last two weeks, Dave has a smashing time, and we play our usual mix of 8 great tracks of independent and Creative Commons music from The Alpine Camp, Terrible Terrible, Kognitif, Jon Maurer, Jasmine Jordan, Yayo, Lost & Profound, and BlackStar.